HomeResourcesWhat is MIDI? | FIND OUT TODAY! Do Headphones Need to be Burned In? Hi there friend, and Welcome! When I first learned about MIDI, I actually didn’t learn a single thing. Lol. Back during my first foray in college, I took an electronic music class. It was a lot of fun, don’t get me wrong. The professor however was a bit over my head to say the least. He never really fully explained concepts in any sort of way I could understand. There’s no doubt in my mind he was on another level, but as a teacher he didn’t convey his thoughts effectively. Even though I really didn’t have too good a grasp of what MIDI was, I still somehow produced some decent music. I found a way to use both instruments and the sound banks inside of Apple Logic. I recorded myself playing instruments, and then formed songs of out it. There’s nothing inherently wrong with that. It’s actually a great way to compose music if you want to record solo and avoid all of the stress that comes with being in a band. I was able to get my creative juices going and had a lot of fun in the studio after hours when no one was around. There were times that it got really eerie in there, especially as the sun was setting and it started getting dark. Thinking back now brings back a lot of bittersweet memories, as well as quite a bit of nostalgia as I’m writing this. It wasn’t until 2007 when I really learned about MIDI. I’ve always been big into music and hip-hop, but to this day my love has always been for beats above all. There are many people out there who just can’t fathom how a person can listen to a beat with no lyrics; it just blows their mind. Beats are compositions too (just like Gingers are still people), and though I will agree that they can be repetitive (the beat not the ginger lol), it doesn’t change the fact that a good beat is truly a work of art. Check out some of my sampled hip-hop beats! I had a white one from 2007 that lasted until 2015. It still worked but the knob got damaged on an intercontinental flight. If you have any background on sampling, you will know what I mean. But I digress..
Long story short, I desired so badly to make my own beats, but had no idea where to start. I didn’t know what I would even need to start. So I drove to the Sam Ashe on Capital Blvd. In Raleigh N.C. and I marched up to the salesman and loudly exclaimed, after no greeting whatsoever, “I WANNA MAKE BEATS!” Just kidding. I perused around a bit until the obligatory “Can I help you find anything?” sounded in my ear. “Yeah well, I wanna make some beats dog.” Kidding again. He introduced me to a tool that I still use to this day: The KORG padKONTROL. I have never looked back. A lot of guys are into the analog stuff (think MPC 2000XL), and while I respect it for sure, I’ve never been that dude. I’m more of a face to face person. I like to see everything before me on the screen. Does that make me an amateur? Yeah. Lol. 🙁 Not really, it’s just how I prefer. Check out my article on Cheap MIDI Keyboard Drumpad! Check out The KORG padKONTROL! These do generate sound, in addition to generating MIDI data. So you press a key and hear a tone. If you were to buy one today, it would likely come with hundreds of different preset instrument sounds built in, enabling you a ton of flexibility. Not only that, but MIDI keyboards also allow you to record this sound when hooked up to your computer. This is called MIDI data, and it’s recorded into a sequencing program, like the MIDI controller above. 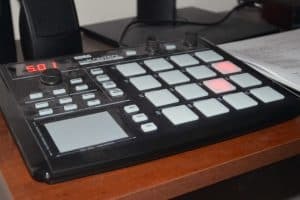 You can also connect this MIDI synth to a drum machine or sampler, and control that device through MIDI commands. 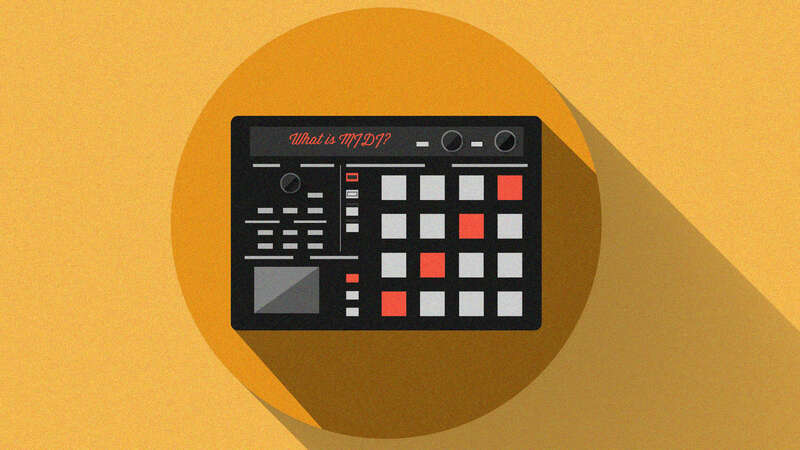 MIDI is data, and that’s it. The data is interpreted by your CPU, or an audio-enabled MIDI synthesizer. MIDI synths in essence, emulate instruments, through sound banks, or via third party hardware and software. MIDI controllers play sounds that they’re programmed to play (from outside sources). Your Audio interface/Soundcard. What is a Soundcard? Check my page on Choosing a DAW! In short, it’s called a sequencer because it records the data (the MIDI event) that you play in real time, in the same exact order in which you played. Now you may be wondering: How does this MIDI device hook up to your computer? That’s where the Audio Interface comes in, and is precisely why we need to understand a Digital Audio Workstation as a package. What does an audio interface do? A sum of all the parts that work together. Nothing irritates me more than a person who refers to a DAW as “your sequencer.” That’s NOT what it is! Lol I’m sorry. I just had to let off some steam. CPU > Audio Interface via USB > MIDI keyboard via 5 pin MIDI DIN (it’s just the name of the cable used). A great example of an affordable interface with MIDI capability is the Focusrite Scarlett 2i4. Being that I don’t have a MIDI keyboard, I use the Scarlett 2i2. It doesn’t have MIDI out, but it’s a bit cheaper and works fine for my needs. I used to have a MIDI keyboard, hence the backup cables. If I ever do decide to purchase a new one, I’ll have what I need. Remember, you will need two of these per midi device. One cable to transmit the digital data and the other to receive. 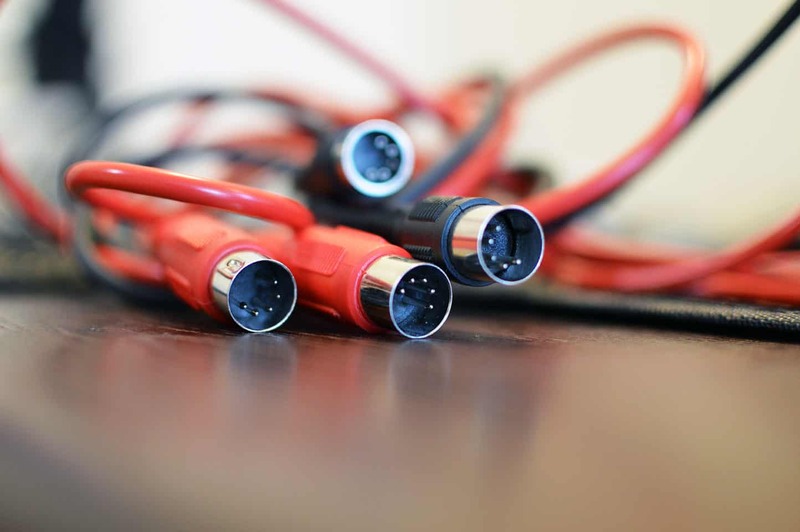 Check out my page on Cables & Wiring! The fun part about using MIDI is that it’s so easy to edit and play with. Press record, play a note, and BAM! There it is. No fuss no muss. Programs like Reason and FL Studio make it really intuitive. Once the chunk of data appears (as dots, bars, etc. ), the skies the limit on what you can do with it. It goes on from there. Once you’re done, just export as WAV or MP3, and get famous! It doesn’t stop there, no siree bob. We touched on the fact that MIDI synths can emulate pretty much any type of instrument that there is. Well taken a step further, you can actually emulate instruments from inside your sequencing software. It is made possible through plug-ins. For example, Reason has a bunch of built in virtual racks that emulate a plethora of different hardware such as synthesizers, samplers, signal processors, sequencers, and mixers. This is in essence what a virtual instrument is. Imagine if you physically had to buy each of these racks. It would clean you out faster than spicy Mexican food on a hot summers day. Lol. Or when your wife asks you for some “spending money.” Heh. And why do we have emulators Jesse? Ohhhh, convenience. So how is all this programmed? Glad you asked. Through VST’s (Virtual Studio Technology) which was developed by Steinberg back in 1996. Powerful stuff indeed! Interested in my favorite MIDI device? CHECK OUT MY OFFICIAL KORG PAD KONTROL REVIEW!! Well that’s about it for today my friend. I hope I’ve answered the question What is MIDI, with some authority! If not, please leave a comment down below or Contact me!